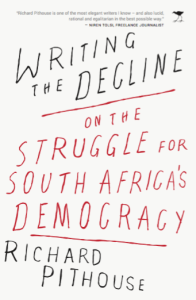 There is a growing sense that the promise of democracy in South Africa has not been adequately redeemed and that the ruling party is turning towards increasingly authoritarian means of containing escalating protest and disaffection. is book tracks the steady decay of the democratic promise in recent years. Written from an understanding that democracy should be for everyone, rather than merely a contest between elites, it explores the growing authoritarianism of the state, the deepening social crisis, and avenues of hope and possibility. Drawing on the author’s twenty years of academic research, as well as participation in popular politics, the essays collected here illuminate aspects of life and struggle that are seldom examined with much seriousness in the elite public sphere.